With all the excitement about Star Wars: The Clone Wars returning next year, it's easy to forget that there's another Star Wars animated series debuting this year on Disney Channel and Disney XD. 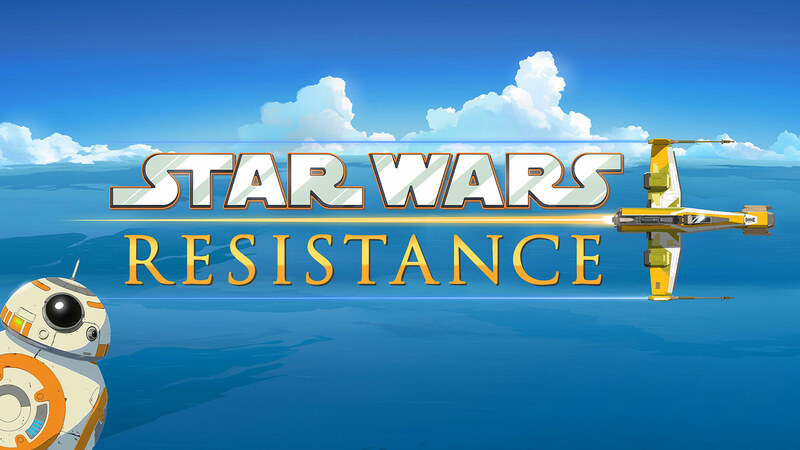 Star Wars Resistance will follow the adventures of Kazuda "Kaz" Xiono, a Resistance reconnaissance pilot prior to the events of The Force Awakens. Little besides the cast is known, however a Disney press release from Germany (hat tip to Jedi-Bibliothek) has provided us with a synopsis of the first episodes. The press release also reveals that the series premiere, which will air on October 13th in Germany, is a two-parter, and that the first season will consist of 22 episodes, with 10 episodes airing in 2018. It was confirmed when the series was announced that Poe Dameron will be voiced by Oscar Isaac, who also plays Poe in the live action films, in the series. It's cool (but no real surprise) that we'll be seeing/hearing him in the first episode. In additions to Isaac, the series will also feature appearances by Gwendoline Christie as Captain Phasma. Christopher Sean (Days of Our Lives), Suzie McGrath (East Enders), Scott Lawrence (Legion), Myrna Velasco (Elena of Avalor), Josh Brener (Silicon Valley), Donald Faison (Scrubs), Jim Rash (Community), Bobby Moynihan (Saturday Night Live), and Rachel Butera (Tammy’s Tiny Tea Time) are series regulars. Resistance is produced by Dave Filoni, Athena Portillo, Justin Ridge, and Brandon Auman. The series will be shown on Disney Channel and Disney XD.